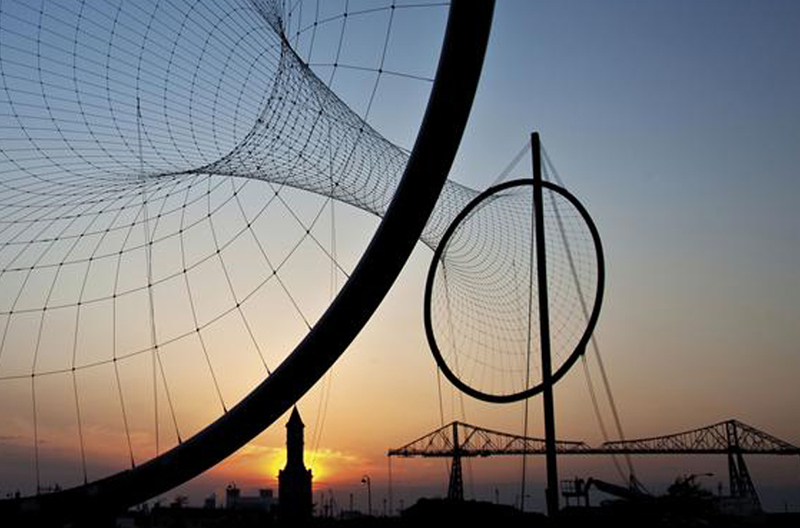 Tees Valley Giants is a project with the ambition to create a series of five world-class art installations by internationally acclaimed sculptor Anish Kapoor. ‘Temenos’, is the first Tees Valley Giant and was permanently sited at Middlehaven Dock, Middlesbrough in 2010. Temenos is a cable net structure and is a staggering 110m in length and almost 50m high. The project also enabled a solo show by Anish Kapoor at Middlesbrough Institute of Modern Art and a huge design education program with Teesside University. I worked as Curator and broker between the artist, client, funders and local authority to steer the project through concept, design, fabrication and launch.